Speaking of non-lethal and hugely popular self defense methods, pepper spray is often the weapon of choice for both men and women. That stuff is so good that it’s actually used by riot control police and regular police officers alike. And pepper spray’s popularity is due to its intrinsic qualities: ease of use, carry convenience and, last but not least, it’s actual effectiveness when it comes to stopping an attacker. 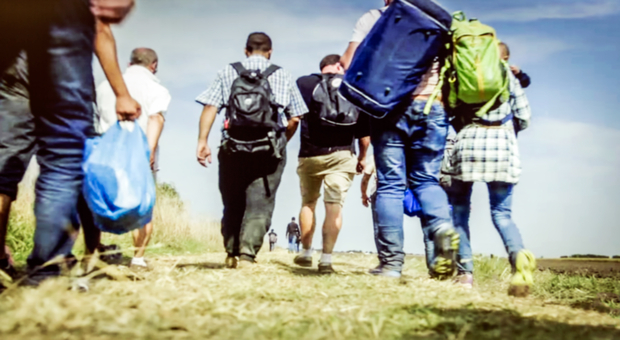 Another cool thing about pepper spray is that is completely legal almost anywhere in the world (except from some hard-core socialist countries in the EU where self-defense is almost a crime) and it doesn’t require any kind of special training in order to use it efficiently. The only thing to take into account when spraying an aggressor in the eyes is the direction of the wind; that’s about all there is to training. Using pepper spray is pretty safe even from the victim’s perspective, so to speak, because pepper will not cause permanent damage to the soft tissues or the eyes. Pepper spray works, provided you use it correctly, by causing temporary blindness and an intense burning sensation on the recipient’s face, followed by skin irritation that may take hours to recede. But that’s hardly a real problem anyway, compared to shooting them, right? However, the lesson to be taken home about pepper spray used as a self-defense weapon is its availability. The thing is, if you don’t have your pepper spray can readily available for an emergency, it won’t help you a bit, i.e. if you keep it somewhere at the bottom of your purse, you’ll not be able to prevent an assault. It’s also pretty straightforward that when using pepper spray in self defense, always aim for the aggressor’s face, thus temporarily incapacitating him/her by causing great pain, especially in the eyes. The good news about this awesome self-defense weapon is that it’s totally DIY-able. Basically, pepper spray is made from chili peppers – the extracted juice to be precise. That means a homemade pepper spray is made from readily available ingredients in one’s kitchen, especially if you love spicy food. If you want to add insult to injury, i.e. to add a coughing effect to those tears and swelling, you’ll also require some black pepper to be put into the mix. Obviously, you should use the hottest kind of peppers you can put your hands on for maximizing the deterrent effect of your homemade pepper spray. 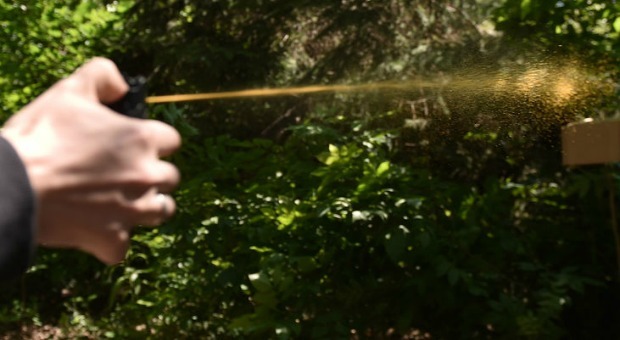 I’ve seen people using a pepper-spray solution put into long-range water guns (you know, those type of toys used by kids) to use on trespassers, including wildlife, the likes of raccoons and similar pests. Toy water guns have more range than regular spray cans when it comes to delivering the pepper blend. Before getting into the fine arts of pepper spray DIY-ing, I must warn you that what we’re dealing with here is a self-defense weapon and nothing more. Basically, you must use pepper spray for self-defense only. Unless you’re getting attacked, as in beat up, robbed or when trying to stop a crime/felony, there’s no reason to spray people with your home made pepper spray, alright? Depending on one’s location, even in the US, using pepper spray without cause may be actually against the law, so be careful about what you’re carrying. And if you’re wondering what’s up with that, even pepper spray may have serious negative health effects on certain people suffering from asthma or on folks allergic to capsaicin. a serious stock of dried chili peppers (or fresh ones if you have some in your garden. If you’re growing your own stash, you may call yourself an off the grid survivalist, one hundred percent, at least with regard to DIY-ing pepper spray. If not, you can buy it from various places such as grocery stores, farmers markets, and specialty markets. 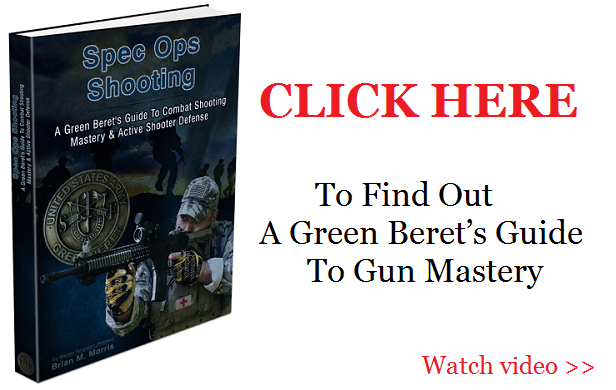 As far as the delivery system – the canister that is – the possibilities are almost endless, ranging from toy guns as I previously described to a simple spray bottle from one’s medicine cabinet. Bottom line, anything that sprays can be used as a delivery method, provided it’s water-tight. Canister aside, when speaking of efficient pepper spray, you must choose the best ingredients for the job, and by that I mean the hottest chili peppers. Pepper hotness is measured using the SHU rating system (Scoville Heat Unit). The more SHU a pepper has, the better. The idea is to use the hottest readily-available pepper variety, and the most common one is Cayenne Pepper, which stands proudly anywhere between 30,000 and 60,000 SHU. Thai chili is even better, as it boasts a 50,000 to 150,000 SHU. Red Savina Habanero is the nuke of peppers for sprays, with 350,000 to 650,000 SHU. Of course, we have to mention the mother of all bombs, the Ghost Pepper, the hottest thing known to man, which will disintegrate everything in its path via its whopping 800,000-1,500,000 SHU. The magic ingredient in pepper spray is called capsaicin, which is an irritant for all mammals, including you, dear reader. Pepper sprays used by law enforcement in the US have a payload of 2,000,000 to 6,000,000 SHU, which is up to three times stronger than what you can buy in the store as a “civilian”. Hence, making your own pepper spray is not such a bad idea after all. 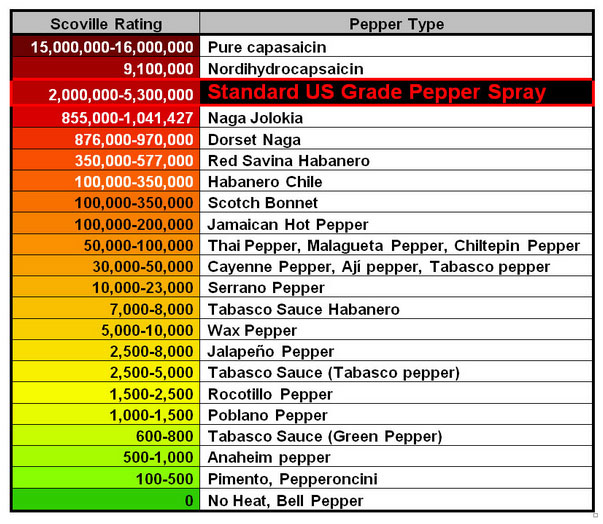 Now, for DIY-ing pepper spray, the best way is to extract the active chemical in chilies (capsaicin) by using a solvent. Don’t worry, the procedure is fairly easy and it doesn’t require complicated chemistry skills or knowledge, but we’ll get back to that in a moment. To begin with, when DIY-ing pepper spray, always wear rubber gloves and also safety goggles, for protecting your eyes and your hands from the oil. You don’t want concentrated capsaicin anywhere near your eyes or your skin. It would be advisable to also wear a mask in order to avoid inhalation of toxic vapors, especially if you’re allergic or sensitive to peppers or strong odors. This isn’t a joke, so don’t take it lightly – the oils in these peppers are weaponized for a reason and it would be brutally ironic to injure yourself while you’re making something to protect yourself with. The simplest way to make your own pepper spray is this: take your dried peppers and chop them as finely as possible using a blender or a grinder, then put them inside a bowl. Six to ten dried chili peppers will suffice, provided they’re the strong kind. Next, you’ll need 2 tablespoons of minced garlic to add into the mix, followed by 2 tablespoons of baby oil. The latter works as an adhesive of sorts, helping the substance to adhere to skin and clothes and making it very difficult to remove. Finally, add twelve ounces of vodka (any type of alcohol actually) or vinegar, for increasing the shelf life of your homemade pepper spray. For best results, put the mixture in a blender for two to three minutes on the high setting. If you’re doing it by hand, muddle the garlic, baby oil, and pepper powder together until it has the consistency of a fine, smooth paste before adding the alcohol. When ready, put the mixture inside a large container, a glass bottle for example, and let it rest overnight in a cold place. To increase its effectiveness, the mixture must be allowed to infuse for a while. The next morning, you’re almost ready to pour the pepper mixture in your storage vessel of choice, but prior to that, you’ll have to filter it using a funnel and cheesecloth. The homemade pepper spray should be kept inside your refrigerator and it will maintain its properties for up to three months, especially if you’ve used alcohol. In the next step, you’ll just have to fill your spray bottle with the stuff. Here’s a more high-tech method that will make about 3.5 ounces (100 ml) of pepper spray: you’ll require 100 grams of hot chili powder and about 7 ounces (200 ml) of ethanol (denatured alcohol), mixed together inside of a container. To make sure there are no chili powder clumps, run the mixture through a wire-mesh kitchen strainer and then put it inside a cooking pot. Heat the mixture until the ethanol boils and then evaporates. What’s left inside the cooking pot will look like orange goo, with the consistency of wax. Add to it 20 milliliters of baby oil until it you’ll end up with a honey-like consistency and that’s about it. The stuff can now be poured in any type of delivery system after it’s thinned using alcohol so it can be sprayed easily (equal parts, one part alcohol, one part orange goo). On the bright side of the news, using this method, you’ll end up with pepper spray that will last you indefinitely if it’s hermetically sealed. Now that you know how to make your own pepper spray, start practicing.